Early this summer nearly 50 people from all sections of the Loveland community gathered to talk about what makes our town special and what the unique qualities are that set us apart. 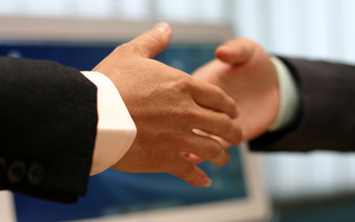 As we know in the Loveland Business Partnership, there are many factors that make Loveland a great place to live, do business and visit. However, this was an opportunity to all come together and discuss them in a broad conversation that lasted nearly half a day. By the end, this had the Loveland Strategic Partnership (LSP) on fire with positive feedback on how to move forward and engage others in the city to pump their fists and be proud of all that Loveland has to offer. From the outcome, the LSP engaged a public relations firm, dovetail solutions, and together we have successfully started to roll out a community engagement and branding campaign called #LiveLoveland. When people are proud of the places they live and recognize the unique attributes that make their town special, everybody wins. 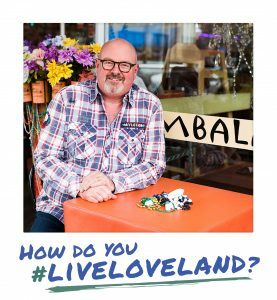 The #LiveLoveland campaign aims to help people better understand and appreciate the wonderful city in which we live. It will focus on the positive attributes of the community, and will encourage others to be more involved in the community in many ways. 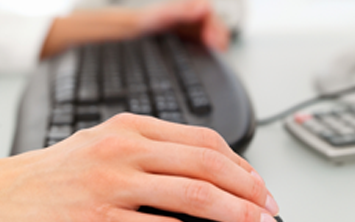 We believe that it isn’t someone else’s job to tell the Loveland story. It’s ours. 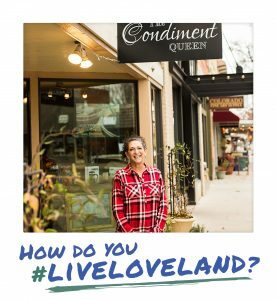 #LiveLoveland was specifically created to connect Lovelanders with each other, create leadership on public policy issues, and engage citizens. 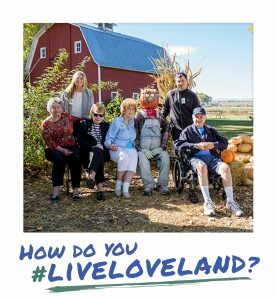 This campaign asks the question How do you #LiveLoveland? 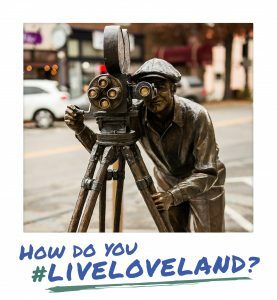 People can tell their own story of how they #LiveLoveland by posting photos of themselves into a polaroid frame and their families doing fun and iconic things. It could be a trip to an art gallery or a coffee shop, live music, restaurants, horseback riding, fly-fishing, schools, arts, churches, you name it. Virtually anything. Everyone is free to engage in #LiveLoveland and tell their own story. Already the campaign has launched a website at www.LiveLoveland.org, a Facebook page and an Instagram page where people are uploading photos daily. There will be a billboard on I-25 featuring select Polaroids as well. 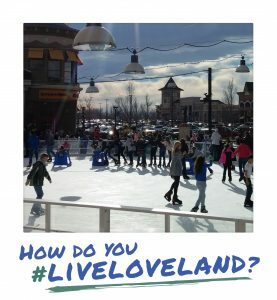 One aspect of the effort is to have people sign up as “Loveland Connectors” where they will be champions of #LiveLoveland and help the group to set up a presentation. 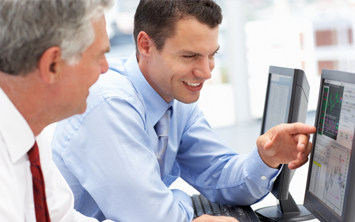 This is a very important element to create the personal connection in the community. There has been a lot of enthusiasm so far. The Community Foundation will be partnering with #LiveLoveland to create a community wide launch event in mid January at the Rialto. We will post more details on this as we confirm them. Overall, we’re incredibly excited to unite together to get this #LiveLoveland show on the road. If you want more information on how to be involved, or just feel like dropping a note, please feel free to contact me.